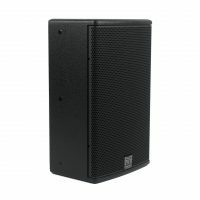 The original Blackline Series set the standard for affordable professional loudspeaker systems — becoming synonymous with sound quality and reliability to become the benchmark for live music venues, nightclubs and installations worldwide. 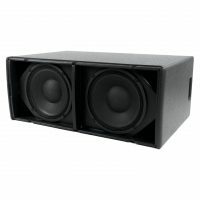 Now, with BlacklineX, Martin Audio’s R&D team has engineered a classic suite of passive loudspeakers for the modern era. 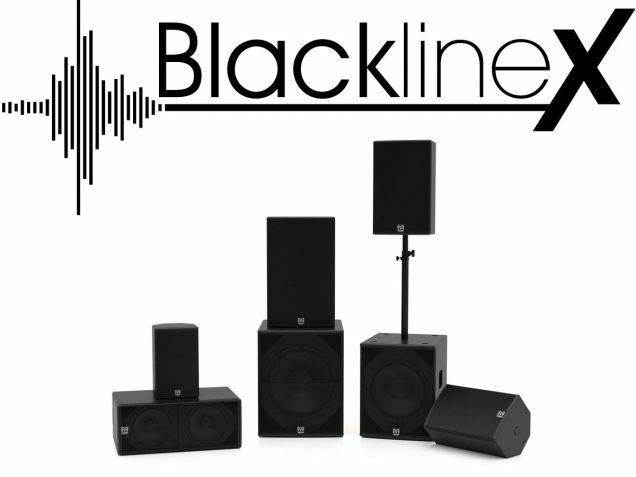 Delivering the signature sound of warmth, nuance and clarity but with improved overall performance at a price point not previously possible, BlacklineX is a clean, smart design with no-compromise between the needs of installation and portability. 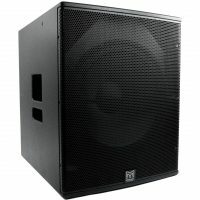 Applications range from portable sound reinforcement and stage monitoring for live bands, DJ’s and corporate events, to installations in nightclubs, bars, commercial spaces and HoW [House of Worship]. Each symmetrical, multi-angle full-range enclosure features a user rotatable horn for horizontal or vertical orientation, and has a screwfree, cloth-backed steel grille. Comprehensive mounting options include wall bracket, eyebolt suspension and pole-mounting. Ergonomic handles at the rear of each full-range enclosure make for easy handling while maintaining clean lines. 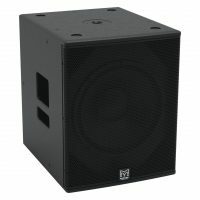 All BlacklineX Series enclosures are constructed from durable plywood and finished with hard wearing black textured coating paint, with white and custom RAL colour options available to order. Professional and affordable, BlacklineX puts Martin Audio signature sound within easy reach of musicians, DJ’s and systems integrators — the Blackline heritage re-imagined for the modern era.